Joliet Junior College celebrated the achievements and service of five individuals at its second annual Night of Stars on Thursday, April 4. 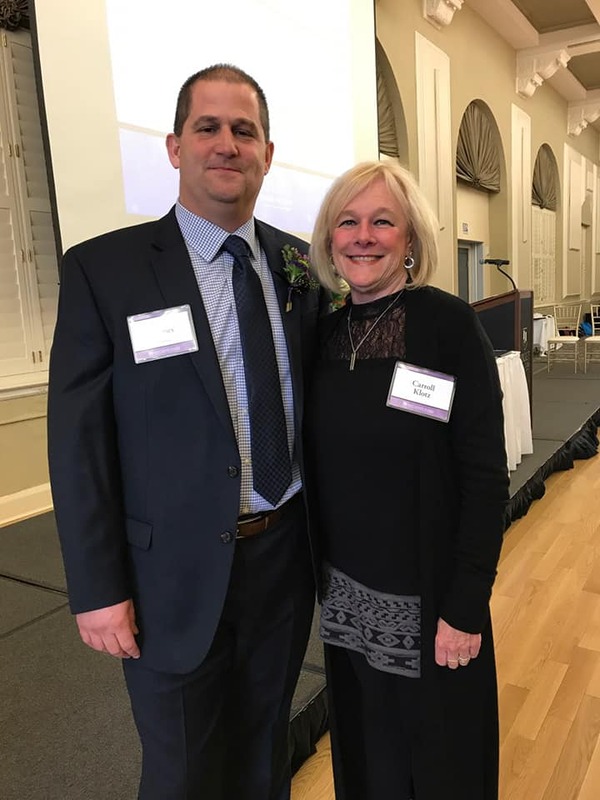 Over 200 people paid tribute to JJC alumni and community members during the ceremony, which took place at the Renaissance Center in downtown Joliet. 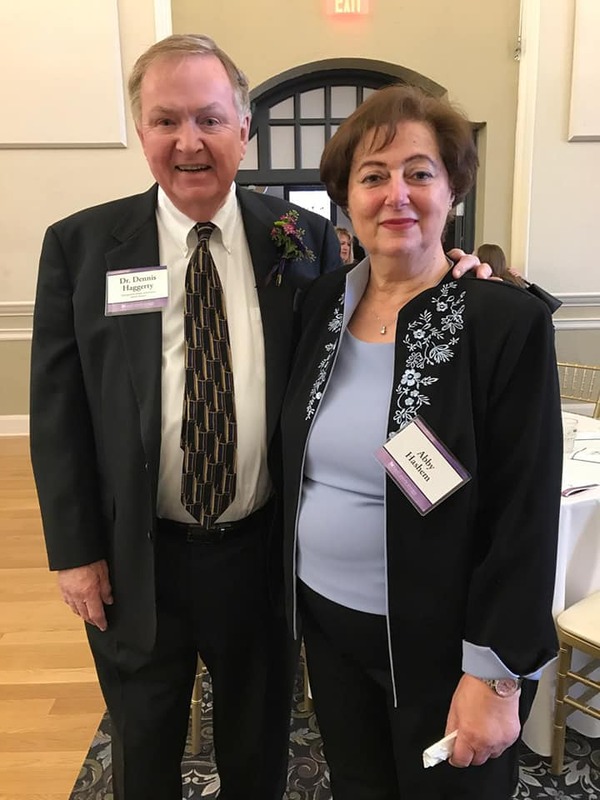 The JJC Office of Institutional Advancement, which hosted the event, also on Thursday recognized major gift donors for their support to the college. 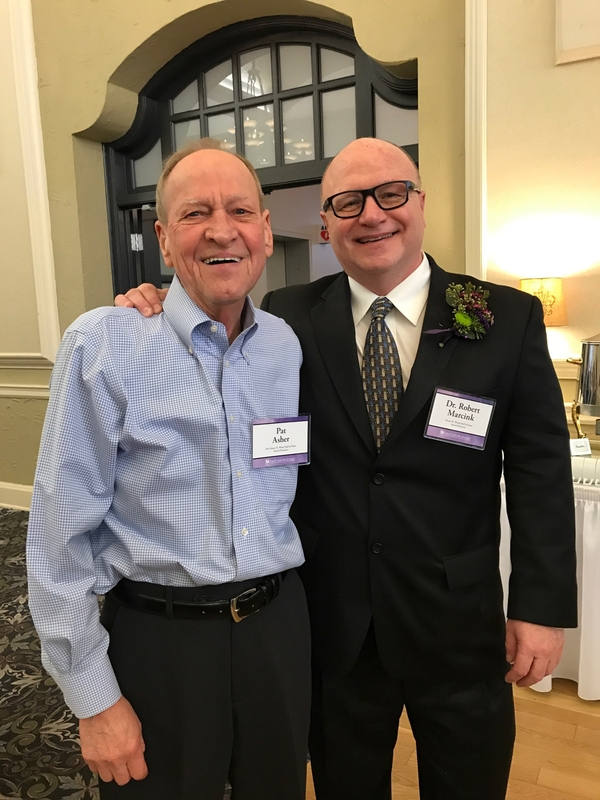 Thanks to a 20-year effort from Dave Holmes, more than $300,000 has been raised for community organizations in the memory of his friend and mentor, Tim Klotz, who died in 1999. Holmes began raising funds through an annual golf outing in his mentor’s honor. Tim’s wife, Carroll Klotz, nominated Holmes for the award. Organizations benefiting from the Tim Klotz Memorial Golf Outing range from Big Brothers Big Sisters of Will and Grundy Counties to Guardian Angel Community Services, the JJC Foundation and more. In 2009, the Tim Klotz Memorial Fund won the Foundation Philanthropic Award from the Southwest Suburban Philanthropic Network and was named Donor of the Year by Guardian Angel Community Services in 2011. Most recently, Holmes led the effort to endow the Timothy C. Klotz Memorial Scholarship at the JJC Foundation. Lichtenauer’s volunteerism dates back to the late 1970s when she worked alongside the late Dorothy Mavrich to save Joliet’s Rialto Theatre. She went on to serve lengthy terms on numerous community boards. 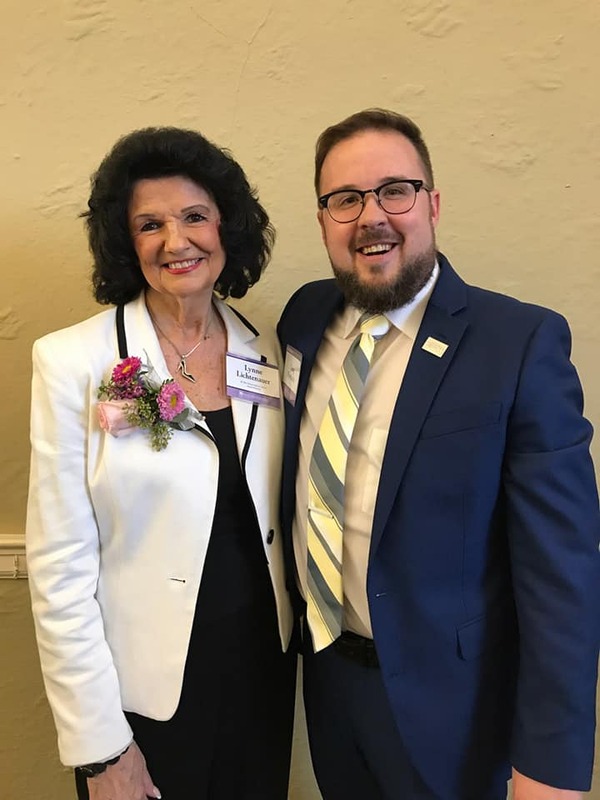 She currently serves as president of the Joliet Museum Board of Directors, as well as director on the boards of the following organizations: Silver Cross Foundation, Joliet Park Foundation, Rialto Square Theatre Foundation. 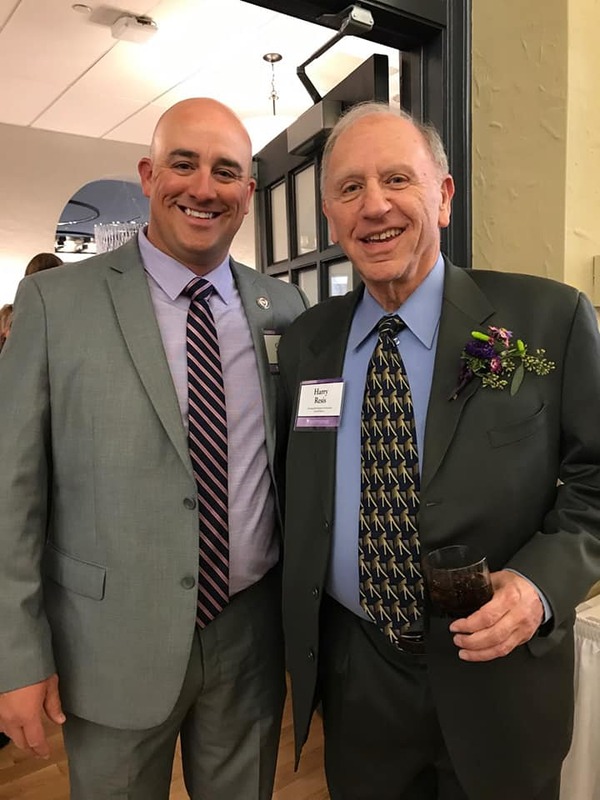 Lichtenauer is also a board member of the Joliet Area Sports Hall of Fame. Lichtenauer was nominated by Greg Peerbolte, executive director of the Joliet Area Historical Museum. She has been recognized for her influential role with the museum’s Old Joliet Prison Project, and is among those responsible for the worldwide attention the project has received. Thanks to her, the museum board also saw a transition in its membership with the addition of many diverse and enthusiastic members, made up of both experienced and emerging community leaders. Dr. Robert Marcink, a JJC English/world languages professor, is also president of the AFT-Local 604 faculty union and advisor to the student newspaper The Blazer. He also thanked his students for their great work in the classroom and for the paper. Marcink brought several of his current Blazer staff to the ceremony, including his first editor from 1997. “For 22 years I’ve been very lucky,” he said. Marcink was nominated by retired JJC professors Pat Asher and John Stobart. Under Marcink’s leadership, The Blazer won four first place awards for overall excellence from the Illinois Community College Journalism Association (ICCJA) in recent years. The Blazer also won Best of Show at the Fall ICCJA Conference at Eastern Illinois University in 2017 and 2018. In addition to this work, Marcink is an author of the nonfiction book, "The Working Class in American Film." Last year, he was a recipient of JJC’s Jo Award for Integrity. Had it not been for JJC, Dennis Haggerty said he may not have realized his potential to become a podiatrist. As a student in the 1960s, Haggerty was very active in JJC’s then Students of Medical Science Club before transferring to Aurora University and continuing on to the Illinois College of Podiatric Medicine. After graduating, Haggerty established private practices in Chicago’s northwest suburbs from 1972 to 2006. “I’m a part of JJC, but in reality JJC is a part of me. What do I mean by that? I mean it had such an impact on my life. Personal, on my family’s, on my career. And still, I’m standing here and it still has an impact on me,” Haggerty said. Haggerty was nominated by his wife, Abby Hashem. Haggerty held memberships with many professional organizations throughout his career. Today, Haggerty spends his free time with philanthropic endeavors at Shriners Hospital for Children-Chicago and St. Jude’s Children’s Research Hospital and in the Middle East. He’s also in his 11th year with the Osher Lifelong Learning Institute in his home state of Virginia, through which he’s taken over 300 courses. Harry Resis was a Wolves baseball player and finance major. His career in finance included roles in fixed income sales at Lehman Brothers, Bear Stearns and Paine Webber. Later, he became the managing director at Kemper Financial Services, the director of North American Fixed Income and the director of Henderson Global Investors (now Janus Henderson). He retired in 2005. Resis has been widely quoted in the Wall Street Journal, Barrons, The New York Times and Business Week, plus made many appearances on CNBC, Bloomberg TV, and Fox Business as a market strategist and investor. During his acceptance speech, Resis recalled visiting campus last year, an experience that’s left a lasting impression. Resis was nominated by Braun, JJC associate head baseball coach. He still possesses his more than 50-year-old JJC letterman jacket, which he brought with him to last year’s event. Resis says it symbolizes in part his positive memories as a baseball player with the Wolves, which included getting the hit that won the 1965 state championship. The highest award bestowed upon an individual by Joliet Junior College. In 1975, JJC began honoring community members with this award to recognize their volunteerism and service to the district. In 2004, the award was renamed the J.D. Ross Extraordinary Service Award honoring past President J.D. Ross for his distinguished public service to the community. Recognizes a non-alumna/alumnus who is a current or former faculty member, administrator or friend who has served JJC in an exceptional way. It was named after Susan H. Wood, one of the most influential leaders of JJC’s past. She worked at the college from 1944 to 1970 and helped form the JJC Alumni Association. The highest honor bestowed upon a JJC alumna/alumnus. It is presented to those alumni who have demonstrated outstanding success in their chosen field and provided humanitarian service to society.